This week Lamu, one of the islands on our Kenyan coast, will be celebrating the 11th Lamu Cultural Festival since it was declared a World Heritage Site in 2001. The festival has and continues to celebrate the unique and rich Swahili heritage of the Lamu Archipelago. The festival gives an opportunity to experience the islands sandy white beaches, the historical old town, friendly and warm people just to name but a few! 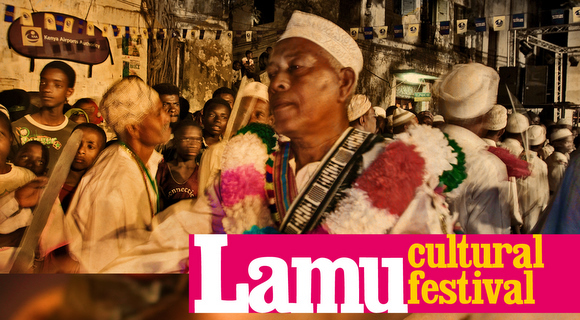 The festival runs from 24th November till the 27th November, and is organised by the Lamu Cultural Promotion Group. A number of activities take place such as a showcase of showcase of traditional dances, displays of handicraft and competitions on water and land (Swahili poetry, donkey races, dhow races, henna painting), Swahili bridal ceremony and musical performances.